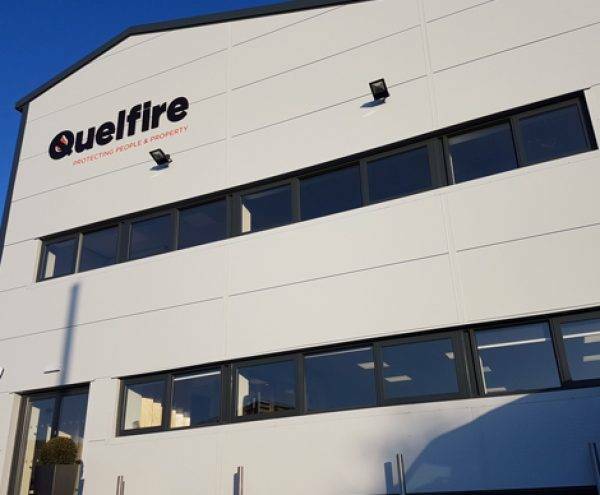 Established in 1977, and with over 40 years of experience, Quelfire is one of the leading manufacturers and suppliers of Specialist Passive Fire Protection for buildings. Quelfire is a well trusted brand that’s renowned for its long-standing commitment to high-quality, certified products, including fire containment systems for pipe, duct and electrical service penetrations, as well as linear joints and cavity barriers. Quelfire provides a range of valuable products and services to specifiers, architects, engineers and contractors for the most effective fire protection in buildings of all sizes, types and ages. Our customers include contractors specialising in firestopping, mechanical, electrical and façade amongst others, as well as distributors and merchants serving the construction industry. The Quelfire systems have been tested to the latest BS & EN standards, and a range of fire collars, fire sleeves and intumescent wraps also carry CE Mark Certification. Quelfire products have been installed on thousands of projects throughout the world, including many hotels, apartments, care homes and offices. Quelfire’s products are also used frequently on the London Underground. Quelfire excels at providing first-class customer service, timely delivery and expert technical advice.